Near Gakona, in the Alaskan wilderness, a joint Navy & Air force project called H.A.A.R.P. (short for High Frequency Active Auroral Research Program) monitors the Earth’s ionosphere, & in its dual capacity as a high frequency radio transmitter is used to send pulsed radio waves into our upper atmosphere. Charged Particle beams, eyes in the sky and soldiers in orbit have become necessary evils in a world continually wracked by fanatical idealists wielding improvised explosives bought on the open market as some kind of trade agreement between Nation-less, conscientious objector businessmen. Invasive government surveillance and the abolition of privacy have become a cheap trade off for an illusion of security perpetuated by the very purveyors and saviors of this disaster relief themselves. Enter H.A.A.R.P or more technically High Frequency Active Auroral Research Programme. What is it for? Well that depends on what programme you happen to be on. The technique is called Sky-wave Propagation & works on the basic premise that Radio waves travel in straight lines. The spherical nature of the planet makes sending radio signals to the other side of the world difficult. HAARP removes this obstacle via creating irregularities in the ionosphere that bounce radio signals across long distances to extend their range.The technology is based on discoveries made by Nikola Tesla, the scientist who developed the Tesla coil or magnifying transmitter used in radio & television. 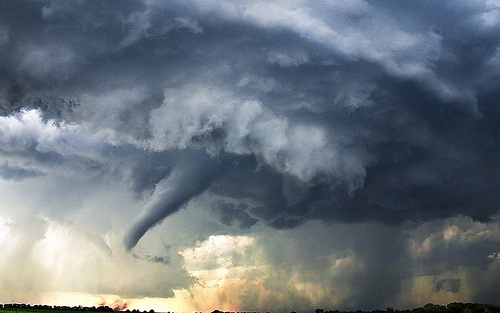 For decades, the US military has experimented with weather warfare, controlling weather to make it a weapon. For example, the US’s Operation Popeye seeded clouds over the Ho Chi Minh Trail to hopefully flood the enemy’s logistical system. And while the official word is that proper weather warfare technologies never advanced much, some conspiracy theorists insist that HAARP atmospheric research system is just a cover for weather control experimentation. Over at Paleofuture, Matt Novak puts weather control in the context of the Cold War. to determine the effectiveness of weather modification procedures and the extent to which the government should engage in such activities. Methods that were envisioned by both American and Soviet scientists – and openly discussed in the media during the mid-1950s – included using colored pigments on the polar ice caps to melt them and unleash devastating floods, releasing large quantities of dust into the stratosphere creating precipitation on demand, and even building a dam fitted with thousands of nuclear powered pumps across the Bering Straits. This dam, envisioned by a Russian engineer named Arkady Borisovich Markin would redirect the waters of the Pacific Ocean, which would theoretically raise temperatures in cities like New York and London. Markin’s stated purpose was to “relieve the severe cold of the northern hemisphere” but American scientists worried about such weather control as a means to cause flooding. in the electrically charged belt surrounding our upper atmosphere. Uses for H.A.A.R.P include the generation of these ELF waves for enhanced communication with submarines. H.A.A.R.P. will allow for geophysical probes that will identify natural ionospheric processes for the purpose of controlling them, & to focus large amounts of high frequency energy through an ionospheric lens, providing a means of triggering ionospheric processes for military & domestic purposes. This technology can also be applied to the acceleration of infrared & other optical emissions to control radio wave propagation properties. Situated on a 40-acre plot HAARP’s ionospheric research instrument is comprised of 180 aluminum antenna towers. Collectively, the towers beam radio waves into the ionosphere. There, 50 miles up, sunlight temporarily strips gas molecules of their electrons, creating charged particles. 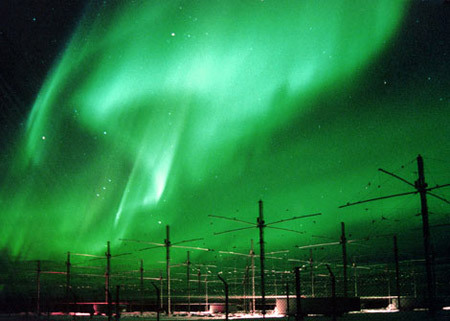 Scientists can manipulate HAARP’s signal to affect changes in the lower ionosphere, causing phenomena such as radiating auroral currents which send extremely low frequencies back to Earth. So powerful, & so acute, these waves can penetrate deep into the ocean improving & enhancing communication with submarines. Salt water is highly conducive to these waves. With the absence of sunlight, undercover of the night the lowest layer of the ionosphere temporarily disappears, allowing HAARP to conduct experiments that could lead to better ways to use a process called sky-wave propagation. It is this highly sophisticated billion-watt pulsed radio beam array that will be used to transmit & receive information to & from individualized data-chip implants. Wars) and later, Advanced Power Technologies Incorporated, (Company commissioned to build HAARP) claimed it was built with his patents for the purposes of weather modification and disabling satellites for military purposes. HAARP’s principle of operation is based on influencing the processes which take place in the solid, liquid and gaseous layers of the Earth. 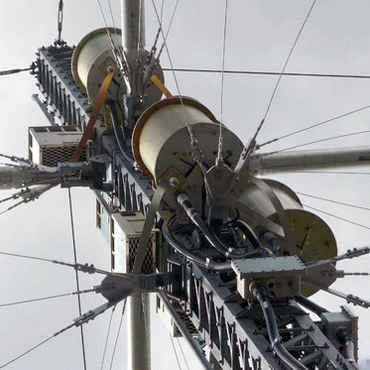 The immense antennae array makes it possible to control the artificially created plasmoid (localized areas of highly ionized gas) or globular lightning in the ionosphere by using lasers to shift the focal point of the aerials. HAARP Scientists plan to bombard the sky with energy beams which, when reflected from the ionosphere, can return back to Earth in the form of low-frequency electronic waves. 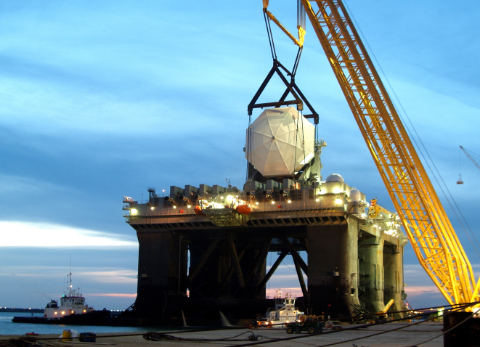 Stationed at its home port in Adak, Alaska at the Kiewit Offshore Services in Corpus Christi, Texas, A 4-million pound radar assembly is lowered into place aboard a converted offshore oil rig on April 3, 2005. The Massive undertaking will form what is to become the Sea-Based X-band Radar for the Missile Defense Agency. A unique combination of an advanced-radar with a mobile, ocean-going, semi-submersible platform that will provide the nation with highly advanced ballistic missile detection with the capability to discriminate hostile missile warheads from decoys or countermeasures. 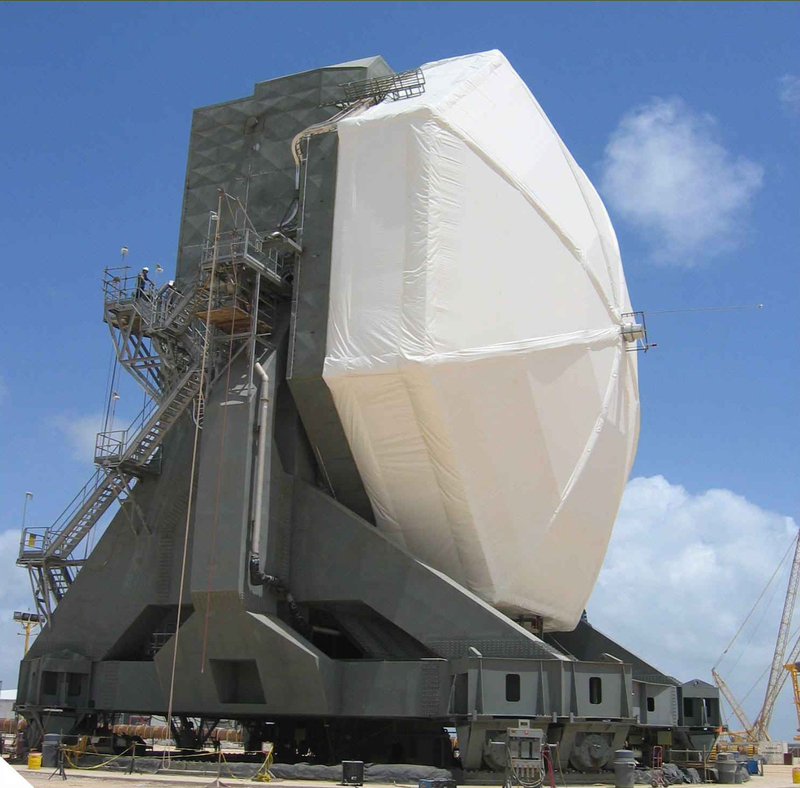 The radar’s mobility gives it the capability to be positioned on the ocean to support Missile Defense Agency tests and also operationally support defense of the United States & its Allies. Previous PostMontauk: Teleportation, Parallel Dimensions, and Time travelNext PostWhat is at the Bottom of the Baltic Sea?